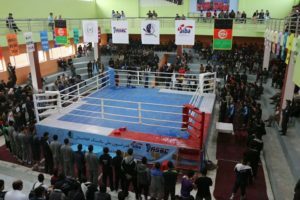 The Afghanistan National Elite Boxing Championships was held in their capital city in Kabul where nearly 200 boxers attended for the ten titles. Among Afghanistan’s international level boxers Ramish Rahmani, Laisullah Ghulam Azizi, Mohammad Khaibar Nooristani, Farhad Noori and Mohammad Khaibar Sultani claimed the titles in Kabul. 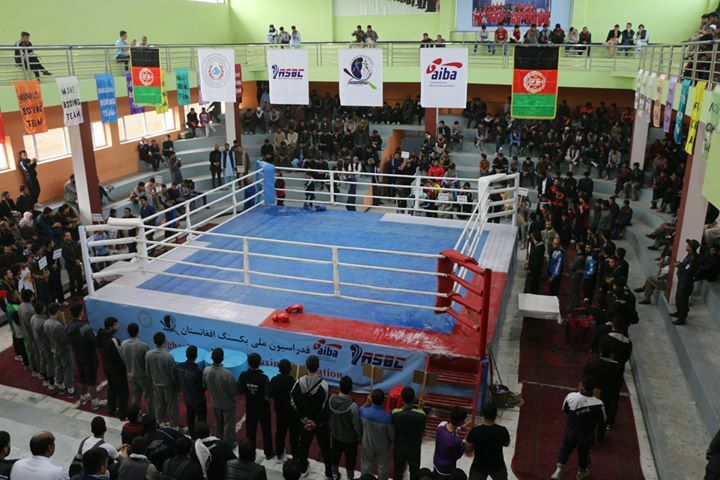 Kabul hosted most of the Afghan national events in the recent years and it is the capital of their boxing life where more than 100 clubs exist. Afghanistan Boxing Federation held NSB Course for their coaches, officials in the recent weeks and their President Mr. Abdullah Sattari invited coach Mr. Ajmal Omarzade back to the country to support their boxing life. Afghanistan has been preparing to the upcoming ASBC Asian Confederation Boxing Championships which will be held in Bangkok in the second part of April. Their men’s elite team is also focusing to the AIBA World Boxing Championships and to their important multisport event to the South Asian Games in 2019. Defending National Champion Ramish Rahmani attended in the Tashkent 2017 ASBC Asian Confederation Boxing Championships and also in the Indian Open International Boxing Tournament. The well-experienced Rahmani eliminated Herat’s technician boxer Hussain Rahmatullah in the semi-final of the light flyweight (49kg) and he dominated his title bout against Khairullah Zeyarat Gul. The flyweight (52kg) title was achieved by Jabar Mohammad who controlled his final against Salim Abdul Halim. Laisullah Ghulam Azizi was silver medallist in the 2016 edition of the Afghanistan National Championships and attended in the Jakarta 2018 Asian Games which means he had enough experiences to beat all of his rivals in Kabul. The Indian Open International Boxing Tournament quarter-finalist Azizi defeated Nasir Ahmad and achieved the gold of the bantamweight (56kg) in Kabul. Ali Reza Gul Hussain claimed gold medal in 2016 and he proved strong performance also in the Indian Open International Boxing Tournament therefore his success at the lightweight (60kg) was an expected result. Mohammad Khaibar Nooristani is the most experienced Afghan national team member boxer who involved to the international stage in 2010 and he attended all levels of boxing during his career which means he could defend his throne at the light welterweight (64kg) easily. The title of the welterweight (69kg) was taken by Hussain Amir Jan who defeated Mohammad Anwari in the final. Afghanistan’s middleweight (75kg) No.1 Farhad Noori attended in the last edition of the FISU University World Boxing Championships in Elista, Russia in September and won his second national title. Faizullah Murad Khan achieved gold medal in 2016 and continued his winning path at the light heavyweight (81kg) following his success over Noor Rahman Mir Bacha. Mohammad Khaibar Sultani won gold medals in 2013 and in 2014 and repeated his strong national performance in Kabul at the heavyweight (91kg). The last gold medal of the Afghan National Championships was delivered by Abo Muslim at the super heavyweight (+91kg).